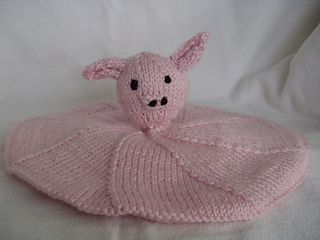 This cute Piggie blanket or lovie is a great gift for any baby. The toy is knitted from center out increasing, then decreasing and continue with the head. 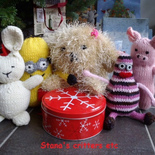 The ears and snout are knitted separately and sewn on when finishing. Yarn: About 3oz (85gr) of medium weight yarn in pink color. You will use about 165 – 180 yards (150 – 165 meters). Small amount of black yarn for the eyes, and nose.